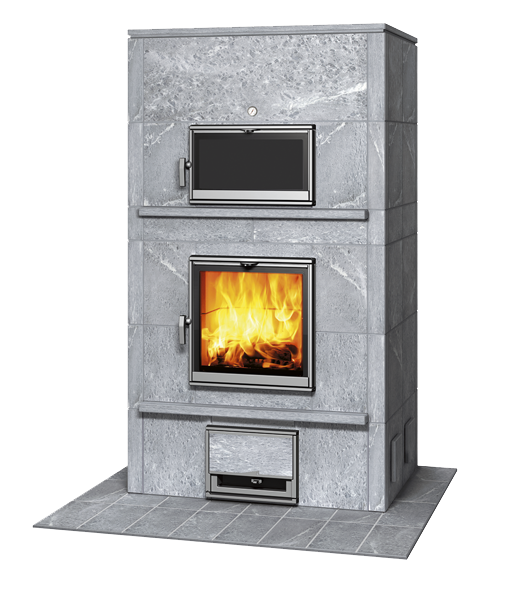 An attractively simple Tulikivi fireplace/bakeoven that is comfortable to use and beautiful to look at. In this model, the bakeoven door is above the firebox door. A compact bakeoven with rounded corners that combines the properties of an efficient oven and warming fireplace. There is 2000 kg of heat-retaining soapstone.